KEAS is leading the way and creating an entirely new market called Ceramictronics. By creating electronics that are specifically tailored to fit the home environment as an art piece, meaning long-lasting and complimentary to the room, we solve the problem of “too many electronics.” KEAS’ premier product is known as the MOV1. This is the world’s first and only ceramic speaker crafted in the Korean ceramic tradition. Through a rigorous crafting process that includes baking in extremely high temperatures of 1250 degrees, turning the clay into a “stoneware”, the MOV1 becomes a beautiful piece of art that looks great in your home. KEAS received the prestigious Red Dot Design Award in 2015 for this product. But don’t let the innovative and beautiful design fool you, this work of art produces incredible sound quality. And with Bluetooth technology you can play from any compatible device. It comes in 4 colors: Black & White, Orange & Grey, Black & Red and Cobalt Blue & White. 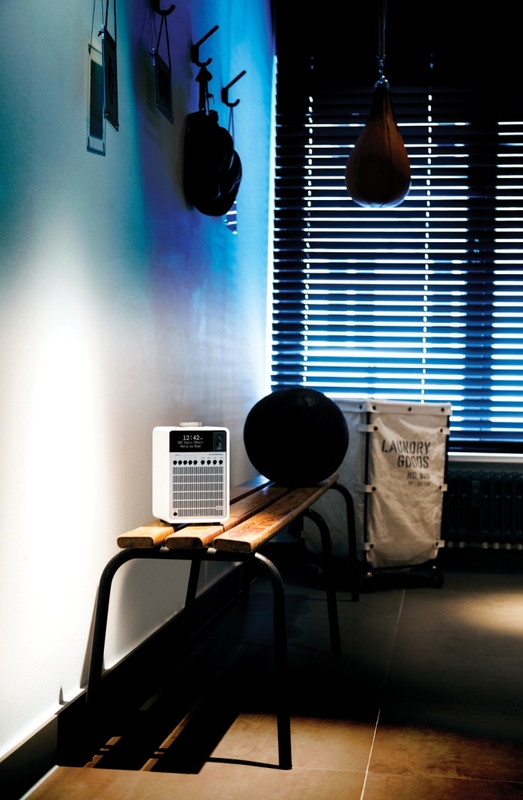 Introducing SuperSystem from REVO, the home stereo music system re-imagined. Room-filling 2.1 audio, multiroom ready, iOS/Android app control and much more from REVO’s flagship home music system. REVO is delighted to announce the imminent release of its new SuperSystem digital home music system, the flagship model in its acclaimed SuperSeries range of deluxe tabletop audio devices. SuperSystem is the evolution of the classic home stereo, re-imagined by REVO for the age of digital music and wireless audio streaming. Thoughtfully designed to perfectly blend the time-honoured values of engineering, craftsmanship and material integrity, with next-generation all-digital technology, superlative room-filling acoustic performance and award- winning industrial design. Deceptively compact yet delivering a full 80 watts of power from its Class-D amplifier, twin 3.5” BMR flat-panel drivers and custom designed ported subwoofer, SuperSystem delivers a feature-set that will become the benchmark in the small audio category. Radio from around the world, wireless access and playback of your personal music collection or an almost limitless supply of songs from the world’s leading music streaming service – all capable of being distributed to other compatible devices as part of a multiroom audio set-up and controlled from an iOS/Android smartphone or tablet courtesy of an easy-to-use app. SuperSystem is equipped to receive a wide range of digital radio standards including DAB, DAB+, FM with RDS and internet radio – providing access to over 24,000 stations and podcasts from around the world. SuperSystem’s ability to communicate with external devices and services is unrivalled. Network Audio and WLAN technology enables wireless audio playback from external computers and music servers, Bluetooth® with aptX® delivers CD-quality streaming from smartphones, tablets etc., and Spotify Connect opens the door to over 30 million tracks from the Spotify archive in the Cloud. Also included is a front-mounted USB connector, enabling playback of audio files as well as USB device charging. UNDOK technology puts you in complete control of SuperSystem and its features and modes, including the ability to create a wireless multiroom system, all courtesy of the UNDOK app for iOS and Android. UNDOK centralises control of SuperSystem’s various functions including DAB, Internet radio and FM, Spotify Connect, Network Audio and USB audio playback. Music played via Bluetooth and AUX-IN modes can also be distributed across a multiroom network using the app. UNDOK technology links up to five SuperSystems or other UNDOK compatible devices (such as REVO’s SuperConnect radio) to create a sophisticated wireless multiroom system. Play different tracks in different rooms, or simply let a single song provide the soundtrack throughout your living space, all controlled from the palm of your hand via the UNDOK app. SuperSystem’s hardware specification is comprehensive. A large 2.7” secret-until-lit graphical OLED display sits front and centre and is paired with an intuitive joystick based control system, enabling quick and easy navigation around SuperSystem’s many features and modes of operation. Every aspect of SuperSystem’s design and development has been geared towards its audio performance, from its precisely crafted wood cabinet through to the advanced audio electronics that lie within. Wood has a resonant quality that cannot be matched by plastics or composite materials, it’s surface structure helps attenuate high frequency sound, creating warmth in the audio presentation. By employing cutting edge flatdiaphragm driver technology and all digital components, advanced sound modelling techniques and a carefully engineered bass porting system, our engineers have delivered category-defining performance. SuperSystem presents an open sound with clarity, detail and deep rich bass, free from coloration and distortion and benefiting from an expansive sound field. Beating at SuperSystem’s acoustic heart lies an 80 watt Class-D amplifier, twin 3.5” BMR flat-panel speakers and a dedicated 6” ported subwoofer. BMR (Balanced Mode Radiator) speaker drivers utilise flat diaphragm transducer technology and combine the performance attributes of a flat panel speaker with the pistonic movement of a conventional loudspeaker, resulting in a high performance compact drive unit that develops wide dispersion and an expanded sweet spot. Alongside SuperSystem’s various wireless features such as Wi-Fi and Bluetooth®, it is blessed with a large array of physical connectors including 3.5mm headphone jack, USB for audio playback and device charging, AUX-IN, digital optical in, digital optical out, stereo RCA out, wired LAN, F-Type antenna connector and software update port. Aesthetically, SuperSystem is a balanced blend of modernity and mid-century charm – perfectly proportioned, substantial, handsome. Already a winner of a prestigious Red Dot Product Design Award 2015, SuperSystem is a timeless design that exudes quality and leaves a lasting impression. A hand-crafted wooden cabinet has been selected for its superb acoustic properties, clad in furniture grade American walnut or subtle matt paint finishes, no other material provides the deep foundations of great audio performance like wood. The use of high quality anodised 6000 series aluminium for the front fascia and speaker grille, and pressing steel for the backplate further inject a reassuring tactility and sense of honesty that cannot be achieved with lesser materials. The REVO SuperSystem is available in a choice of five finishes – American walnut and silver aluminium, American walnut and black aluminium, matt white and silver aluminium, matt black and silver aluminium and the all-black ‘Shadow Edition’. SuperSystem has an SRP of £549.95 and can be purchased from REVO stockists including John Lewis, Mr Porter and Amazon.co.uk from early October 2015. Driven by function and quality, our products blend the highest design principles with the latest digital audio technology, each designed to leave a lasting impression and to stand the test of time. Founded in 2004 and headquartered in the small market town of Lanark, Scotland, REVO is a pioneer in digital radio and audio streaming and the recipient of seven Red Dot Product Design Awards. REVO products are sold in 20 countries worldwide. 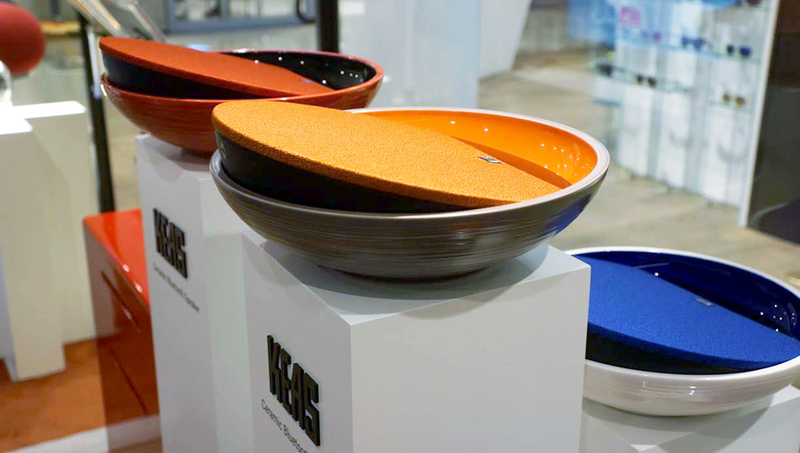 [KEAS = March 14, 2016] The premium lifestyle electronics brand KEAS (www.keas.co.kr) announced its second consecutive win at the Red Dot Design Awards for its ceramic bluetooth speaker, the KEAS MOV1, with its pending launch into the US market by their direct partner, The Sawyers Company, a premium home appliance retailer in the country. Last November, three months earlier than the official product launch, KEAS MOV1 won the Design Concept Award at 2015 Red Dot Awards, one of the most presitigious design competitions in the world, recognized for excellence in design. Again this year, KEAS has received the Product Design Award with the same product, setting a record for two consecutive year wins, unseen in the last nine years. The adoption of ceramic material and design excellence has led to a successful entry into the US market. Being recognized as a premium design brand, KEAS has finally made a partnership agreement with The Sawyers Company, a premium home appliance distributor located in Texas. The Sawyers Company specializes in providing high-end consummer electronics to premium boutiques, household specialty stores, and boutique hotels across the US regional territories. KEAS MOV1 will be released in the US market, starting in several main cities, including Seattle, San Francisco, Miami and New York.